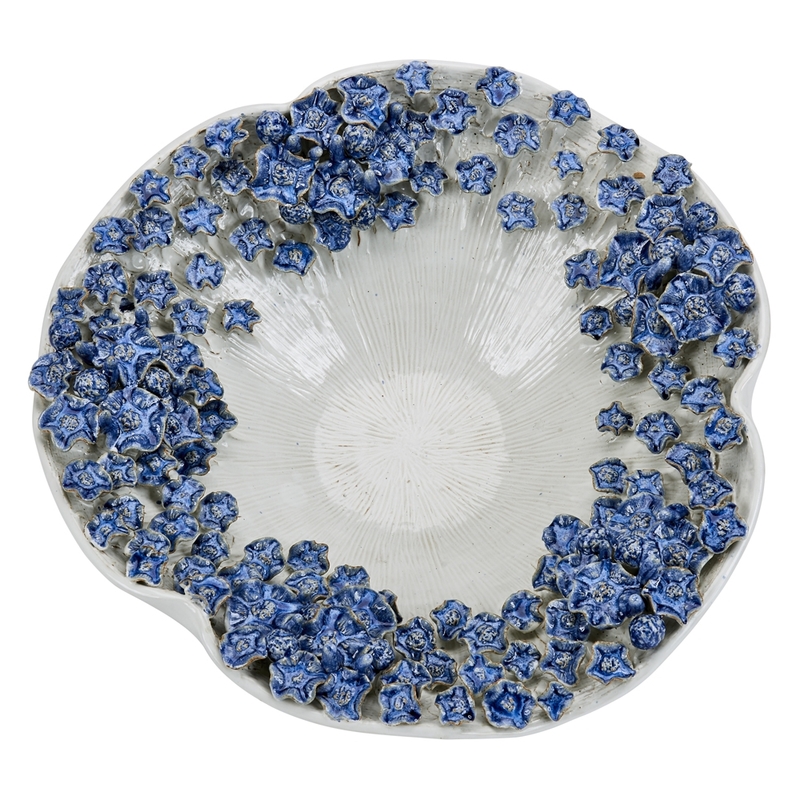 This is a Hand Crafted, Original Thai Ceramic Bowl, accented with a royal blue and pearly white glaze finish. Perfect as an accent piece in any room. 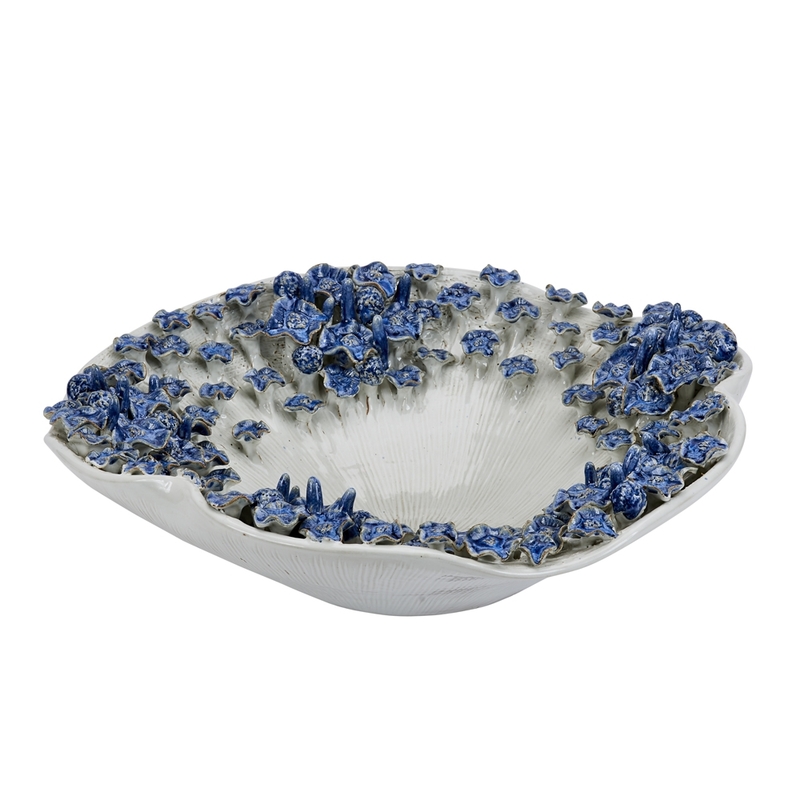 This bowl is truly a work of art.